THE MAC TELEPROMPTER MADE FOR CONTENT CREATORS. 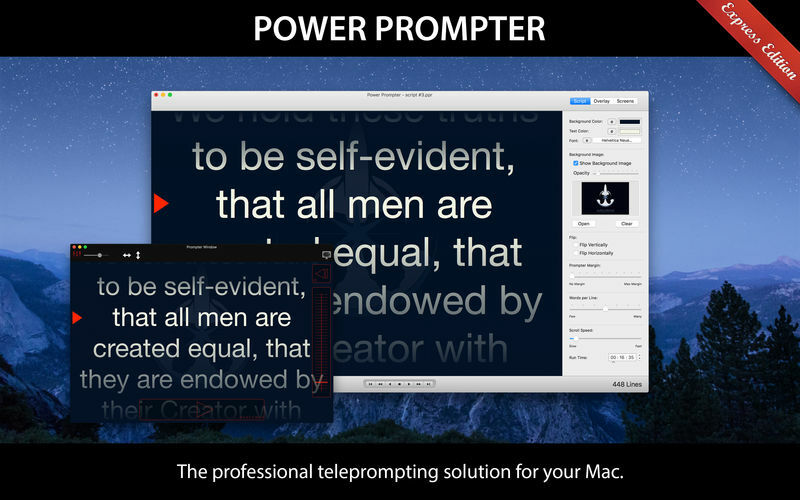 Power Prompter is the only Mac teleprompter that has been specifically designed for modern content creation work flows. If you produce content for the internet or any other modern media, be it a YouTube channel, a podcast or a webinar then Power Prompter is the perfect fit for you!